Do you love immersing yourself in an amazing movie, TV show, or video game? How about blasting your favorite music and dancing the night away with your family after a long day at work? With the Kugel Bluetooth Speaker System, you can take all of your listening experiences to the next level thanks to this German-engineered wonder. Characterized by elite engineering and design, the system empowers you to transform your home into a semi-professional studio. 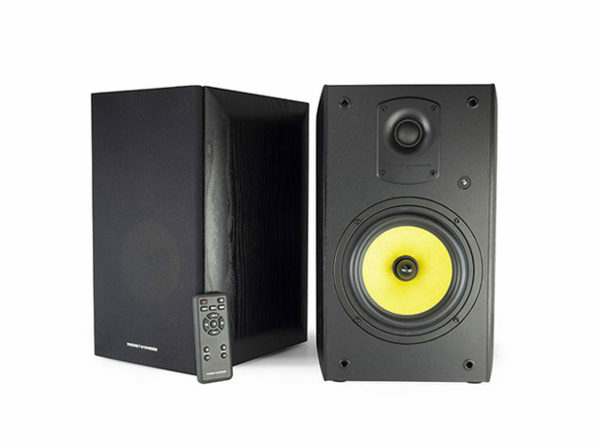 It boasts an impressive 700W output and precise speakers that can reproduce the full range of sounds for a prominent, large, and wide audio experience. Here is how its engineering and design make a huge difference. The system’s HDAA™ wood prevents vibration and leakage of sound, enabling a more accurate and sustainable sound profile while its mesh-speaker covers safeguard precious drivers from any damage. Plus, this system’s Rage Bass™ extends low frequencies to deliver an extremely deep and powerful experience while Glow FX™ provides smooth trebles with extreme definition and sharpness. But what about control? Well, you have convenient and complete management over the entire system’s performance. An ergonomic side panel empowers you to regulate volume, bass, and treble. Also, a wireless remote lets you turn on the speaker system, select the playback source, and adjust the sound all without needing to get up! Pick up the Kugel Bluetooth Speaker System for $249.99, 37 percent off its original price, in The Daily Caller Shop.